I am still shaking with anger. As I write this post, I am shocked and horrified that people of my age, people who I considered friends, have such outrageously close-minded, Tory views on the issue of benefits. This morning I read this status update on a social networking site: “some woman on BBC news kicking off saying “Why is the government being unfair and trying to cap benefits at 26k, I don’t know anybody and I need the benefits”, Well why don’t you get up, get to know somebody and GET A JOB!” Then I was appalled to notice that 13 people had ‘liked’ this and made comments, calling Jobseekers “liars”, “Lazy useless fat economy draining fuckers” and saying that cutting benefits is the “best idea the government has ever had”. I am deeply upset by these comments, as it shows just how ignorant a great proportion of society actually is. Most of the people involved in this conversation are students, coming from a comparatively privileged background, and know little of what it is to have no money. Personally, I have never had to claim Jobseeker’s, but family and friends have, and I am aware of the difficulties both economically and emotionally that come with this. 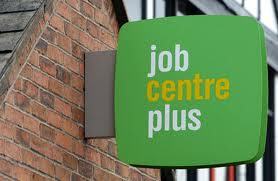 To call the 2.62 million Brits currently unemployed ‘economy draining’ is disgusting. These people have just as much a right to money as anyone in work, as they need this to live. I recently read an article in the Guardian which detailed the outgoings of a job seeker in Liverpool, and his £70 per week barely covered his bills, debt repayments, child benefits and food costs, leaving him no money for bus fare to actually go job-hunting. It is totally unfair for middle-class, Tory-supporting students to write such abusive and ignorant garbage on the internet, and feel so smug about it. There are a lot of close-minded individuals out there who seriously need to get a clue about the real world, and the government should be educating people, rather than seeming to support these views. Freelance writer @Pickwickmag @Corridor8 @Biennial / Editor @artinliverpool. Available for writing and copyediting. This entry was posted in News and tagged benefits, David Cameron, jobseekers, Money, recession, Tory, unemployed, unemployment. Bookmark the permalink.